Chris Gutteridge and Alex Dutton’s open data excuses bingo card and Owen Boswarva’s Open Data Publishing Decision Tree both suggest that not having an API can be used as an excuse for not publishing a dataset as open data. 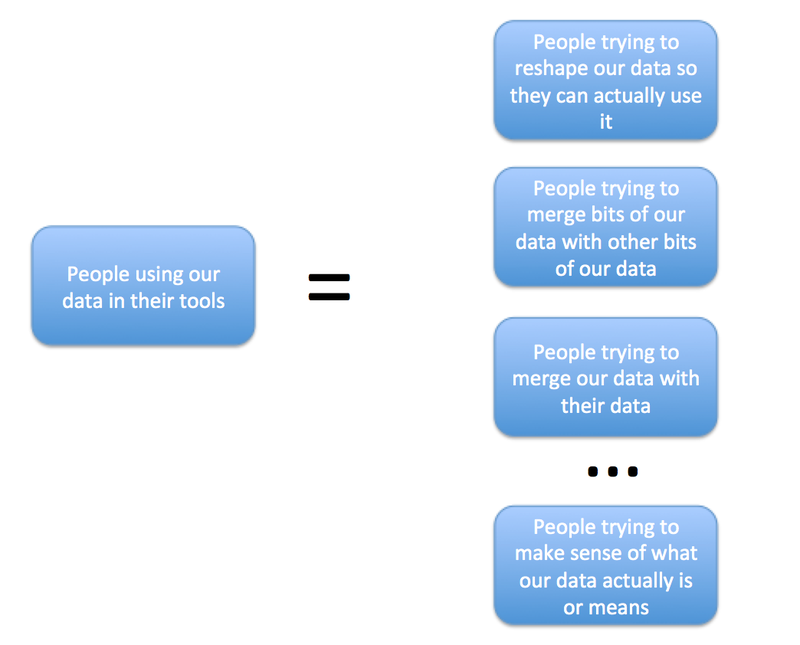 See also: Opening Up Access to Data: Why APIs May Not Be Enough…. 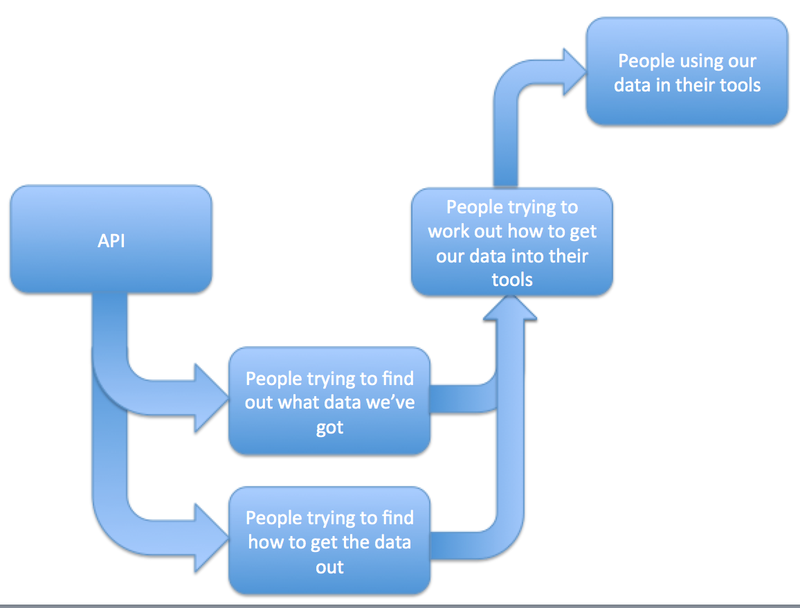 PS See also this response from @apievangelist: The API Journey. Doesn’t that displace the problem up another level? The projection API likely won’t be usable in your particular environment, or more likely you’ll have a different version that breaks it. @benthamfish The point is that if the API doesn’t project data into tools that people use in an appropriate way, it’s a complete and total waste of time for every one other than a programmer, and even then it’ll quite possibly be inaccessible to many have-a-go, hopeful programmers. I spend too much time at hackdays writing tools to “walk” an API to get out the data to use in more useful ways, and do things with the API creator didn’t think about. 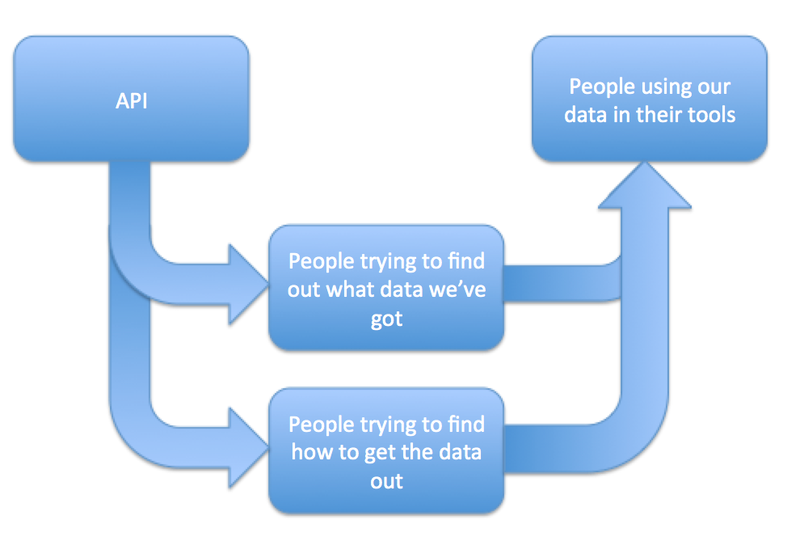 API vs download-everything is a problem as download-everything costs the data owner analytics but reduces “friction”. @chris Agreed. One approach taken in R world is to produce packages that include both the data and access methods that give views over it.